I used to think that Jennifer Saunders wonderful character Eddy Monsoon in the “Absolutely Fabulous” TV series called her daughter “sweetie darling” because she couldn't remember her name. Well that and the fact that it’s a perfectly acceptable term of address among the rarefied air kissing set. Little did I know that it really goes back to the UK’s love affair with “sweeties” aka sweets, lollies, or candy. Spurred on by my over-indulgence and subsequent sugar poisoning at the recent Easter country fair outing (ok I may be exaggerating a little) I thought I might find out about a bit about this national addiction, and one with a global market value of over £100 billion a year. Candy seems to have been around as long as we have, not surprising really given the human sweet tooth. First it was fruit, nuts, and flowers coated in honey as a means of preservation, and then the Greeks discovered that the Indians had been producing something hard called “khanda” made from boiled sugar cane juice, or the “reeds that produce honey without bees”. 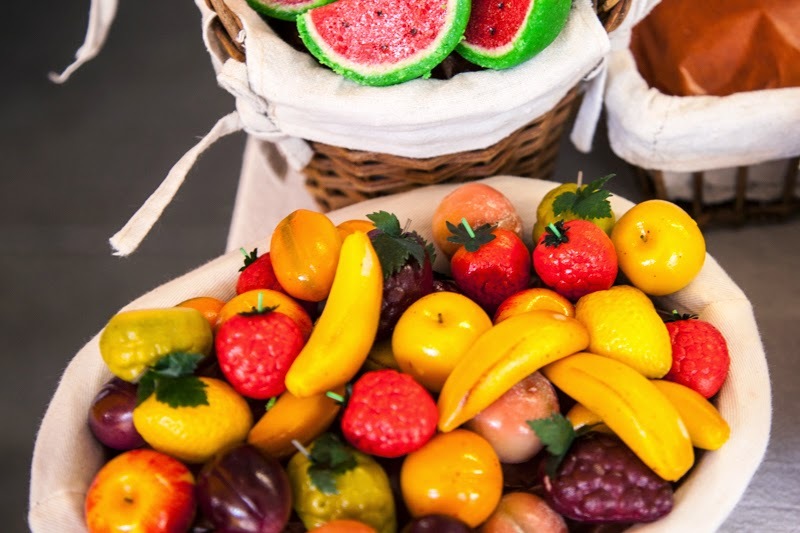 Candy then remained the domain of the wealthy down through many of the following centuries, and rather ironically it was often considered to be a medicine. I know some people who shall remain nameless (you know who you are) who still make that claim today. Then along came what else but the good old industrial revolution, and combined with readily available sugar supplies from the colonies of the British Empire, mass production started, sometimes containing just a little more lead than was really good for us!! Candy could now be afforded by all levels of society. It was mostly hard candy (boiled sugar that was flavoured and coloured and then moulded into shapes essentially) sold unwrapped from street carts, until the polio outbreak in 1916. Then it was wrapped and sales moved indoors to avoid pollution, dirt and germs (polio germs???). 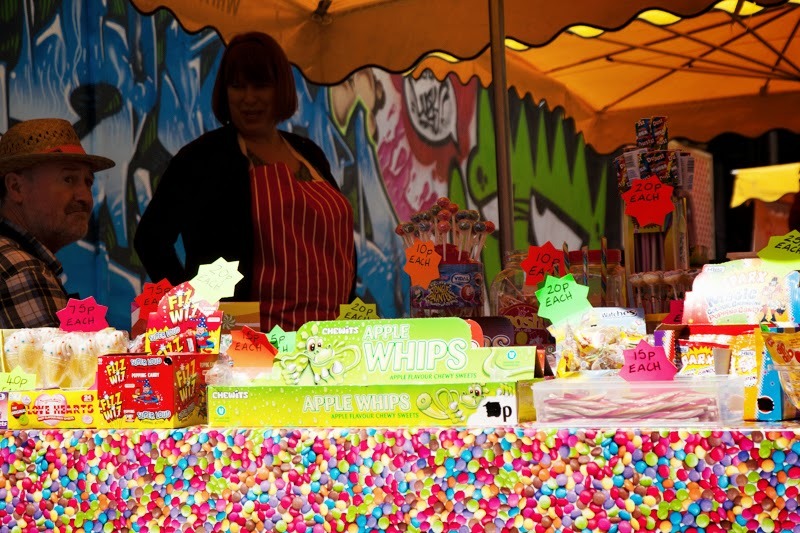 The British are especially fond of their traditional sweets - liquorice allsorts, sherbet dip, hard candy flavours like aniseed & mint, rhubarb & custard, and many more. One of the classics is called “Kendal Mint Cake”, made in the town of Kendal in Cumbria or “the Lake District” as it’s commonly known. It consists of basically pure sugar in the form of a thin cake or bar (think chocolate bar only white) flavoured with mint. Sounds a bit like the heroin of candy doesn’t it!!! I might have eaten too much candy in my life and I will probably keep that up. Love this post. I love candy stores. Kendal Mint Cake is the stand-by emergency ration for fell walkers, mountaineers . . . very sweet but probably quite sustaining in a 'situation'. Though I'm not really one for the flavour of mint, I'd have to try Kendall mint cake at least once. As a kid, I would be salivating, but these days all of that candy upsets my stomach. I knew I was in trouble when half way through this post I had to get up to get a piece of chocolate. 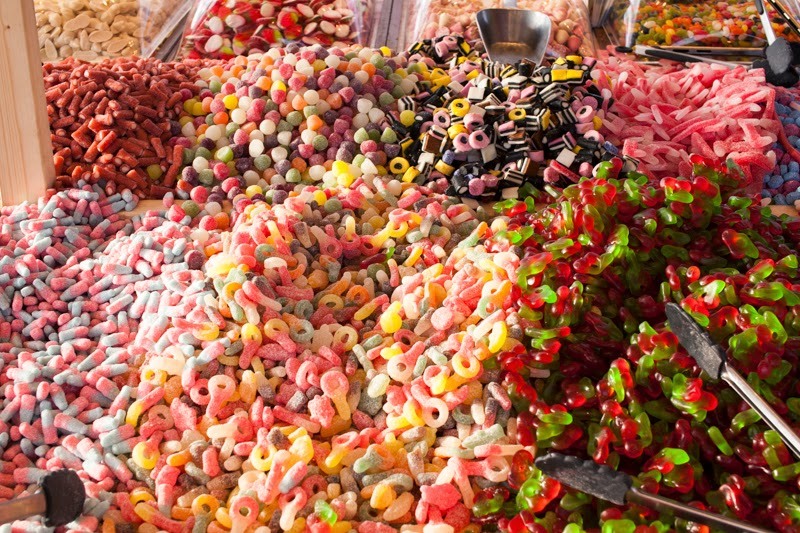 Mouth watering seeing the candies. Colorful candies attracts me to eat immediately! I tested the Kendal Mint Cake last year, as it is the must-have for hikers/mountaineers (especially in the Himalaya-regions :-) but in the Lake District as well). The combination of sugar and mint actually gives you energy and freshness, I was really surprised to find out.